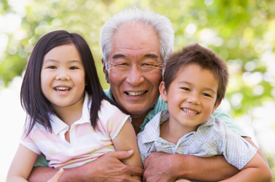 Canada's super visa program allows parents and grandparents of Canadian citizens or permanent residents of Canada an opportunity to visit loved ones for up to two years at a time. The program, launched in December 2011, provides "super visas" that are valid for up to 10 years as long as applicants meet the Super Visa minimum requirements. The host child or grandchild must meet a minimum income level, the applicant must undergo a medical examination, and the applicant must provide proof that they have purchased comprehensive Canadian medical insurance. How does a super visa differ from a visitor visa? A visitor visa allows visitors to come to Canada for up to six months from the time of entry. After that, they must apply for an extension if they wish to stay longer and pay an extra fee. The super visa allows relatives to stay in Canada for up to two years at a time without renewing their status. It also requires applicants to purchase Canadian medical insurance. Numerous companies offer private health insurance to super visa applicants, and many of the leading providers are featured through Kanetix.ca's super visa health insurance comparison tool. There are a few things you should keep in mind when looking for a super visa health insurance policy. What super visa insurance minimums must I meet? The super visa applicant must provide proof that their Canadian medical insurance plan is valid for at least one year from date of entry into Canada, provides a minimum of $100,000 worth of coverage, and covers the applicant for healthcare, hospitalization, and repatriation. What else should I consider when looking at the insurance policy? There are a number of variables to factor in when choosing an insurance policy. For one, applicants should factor in the price as well as deductible savings that could potentially lower the cost of premiums. Does the insurance offer emergency expense benefits? What about additional coverage such as trip interruption and travel accidents? What is the insurance provider's refund policy? What are the policy exclusions (i.e. what's not covered)? Also, does the insurance plan cover pre-existing medical conditions? What does coverage generally include? Emergency healthcare (including hospitalization and physician or surgeon services) and necessary follow-up visits. Review the policy wording before buying to make sure you know exactly what you are, and are not, getting with a super visa health insurance policy. With over 1,000 super visas being issued every month, the Kanetix free online comparison tool for super visa travel and health insurance helps applicants find the coverage needed, quickly. Compare quotes, compare policies, and buy online or over the phone.